Thanksgiving is just around the corner, and we here at Unitek College have a lot to be thankful for this year. So as classes begin winding down towards a finish, decorations begin filling every visible window, and the scent of turkey and cranberries starts filling the air, we thought we’d take a moment to look back on some of the things we’re most thankful for this year. Things such as our new Unitek College Dental Assisting program, which we successfully launched this year. It’s not easy getting a brand new program off the ground, but our faculty and staff worked tirelessly to get it done, and their efforts paid off. We’re also thankful for those students who stepped up to become the first official class of Unitek College certified Dental Assistants. You’re a huge part of our success and we couldn’t have done it without you. We can’t wait to see where you go from here. We’re also thankful that our Unitek College family continues to grow as the NCP College of Nursing came under our wing. The NCP College of Nursing didn’t just expand our campus offerings, but they brought along 17 years of experience in medical teaching. 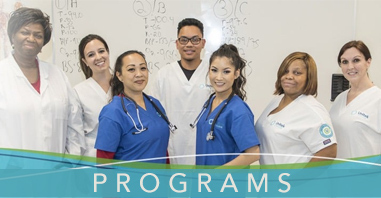 Together, we’re now one of the largest bodies of pre-licensure health care students and graduates in the Bay Area, and those numbers get bigger every day. While we’re talking about growth, our new Concord campus definitely belongs on our list of Thanks. Not only is Concord a beautiful city, but the new location introduces us to a whole new community of potential students we might not have met otherwise. And we didn’t start small in Concord. Dental Assisting, Vocational Nursing, Pharmacy Technician training, Information Technology, Medical Assisting… we packed all of these programs into the new location, and we expect big things from the students who take advantage of them. And finally, we’re thankful to the faculty who make learning at Unitek College possible. 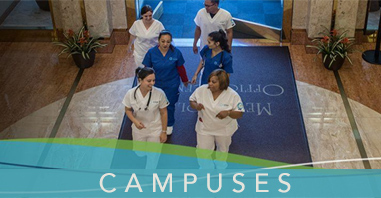 Our faculty members are highly trained in their fields, and they chose to use that training and experience to introduce a whole new crop of nurses, medical assistants, dental assistants, computer support technicians, and more to the world. Henry Adams once wrote that “Teachers affect eternity; no one can tell where their influence stops”, and that’s the way we see ours. And of course, this thanks also extends to the outside professionals who so generously open their businesses for our students’ externships. The opportunity to learn outside the classroom or the lab is an incredible one, and one that adds that extra quality to a Unitek College education. And so, from all the faculty, staff, administrators, and advisors here at Unitek College, we wish all our students (current, prospective, and past) a happy Thanksgiving holiday. Drive safely, eat well, and come back recharged and ready to finish up the rest of the year. https://www.unitekcollege.edu/wp-content/uploads/2017/07/unitek-college-logo-01.svg 0 0 Unitek College https://www.unitekcollege.edu/wp-content/uploads/2017/07/unitek-college-logo-01.svg Unitek College2015-11-23 06:55:522017-07-26 01:19:54Happy Thanksgiving From Us to You!